Commemorative painting of the event by Melanie Georgiou. The solar eclipse of August 21st was without doubt one of the most hotly anticipated events of recent years. The track of totality passed right across the continental USA from west to east coast. 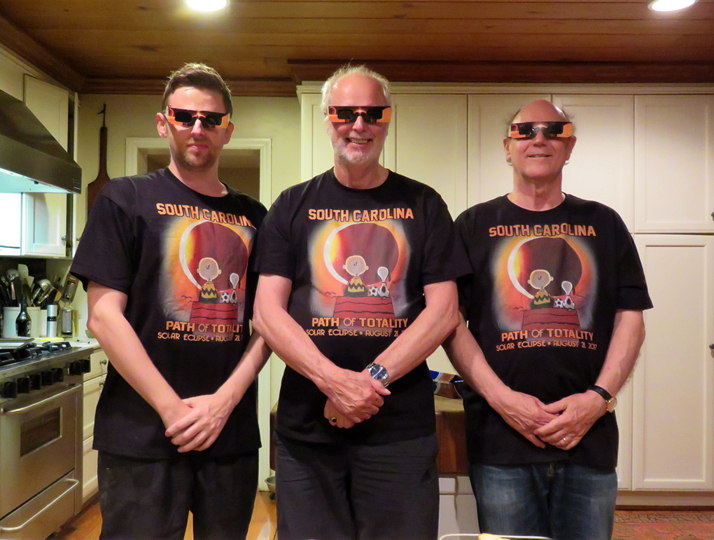 Long time friend and astronomer David Tyler and Myself travelled to Charleston, South Carolina in hope of observing the eclipse. 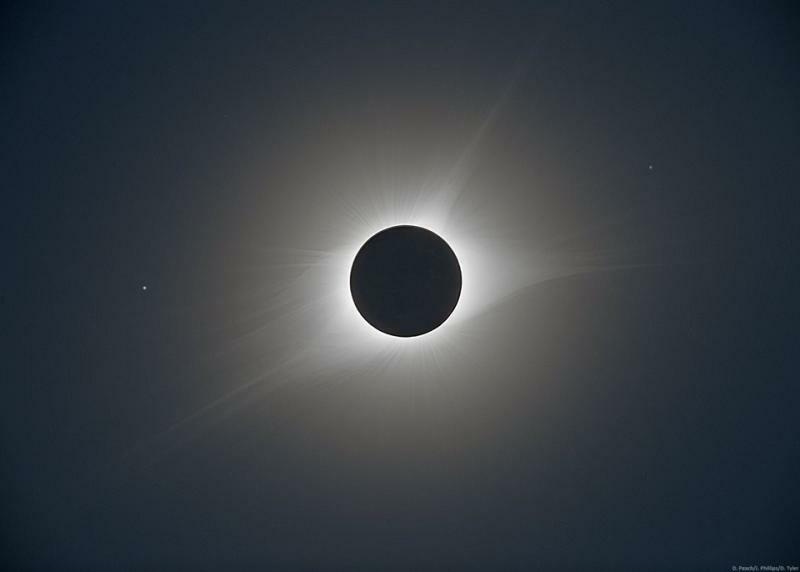 There we stayed with our mutual friend of many years, Jim Phillips who just by chance happened to have two houses located within the path of totality. Despite an event journey involving cancelled flights and delays we arrived safely in Charleston a day later than expected. During this time we prepared our observing plans while watching the weather satellite and forecasts before deciding where we would observe from. We had originally intended to observe the eclipse from the Isle of Palms on the Atlantic coast but the weather here deteriorated the day before the eclipse so we made the call to relocate to Jim's second home deep inland toward the state borders with Georgia and Tennessee. 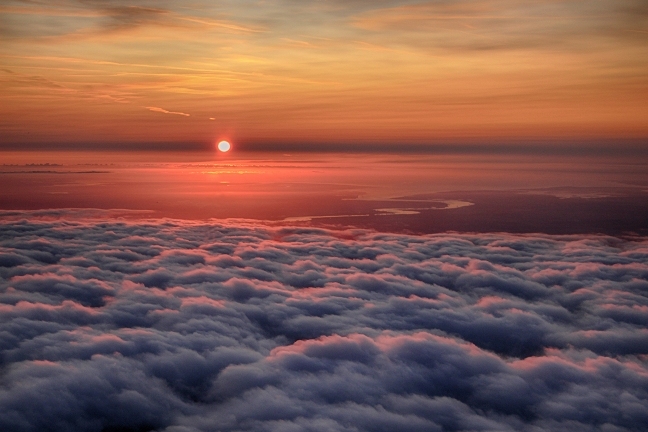 The forecast here looked much more favourable as drier air was pushing down from the north west. 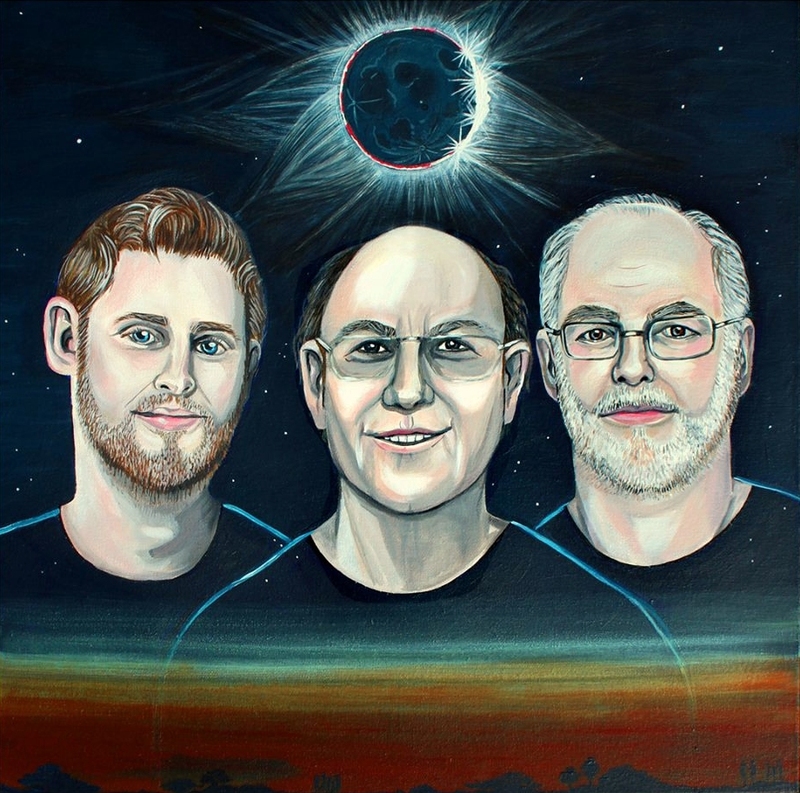 It turns out our decision to move was vital to the success we enjoyed on eclipse day. 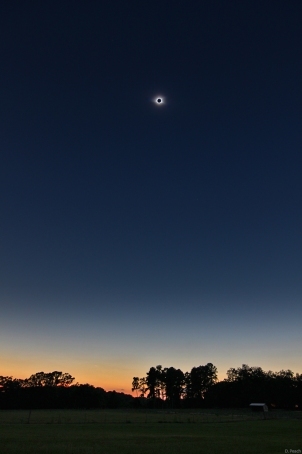 We observed totality under perfectly clear transparent skies with no haze or clouds. Our location in Hodges, SC experienced 2m30s of totality - only 10 seconds short of the maximum possible for this event. We used a variety of telescopes and cameras. 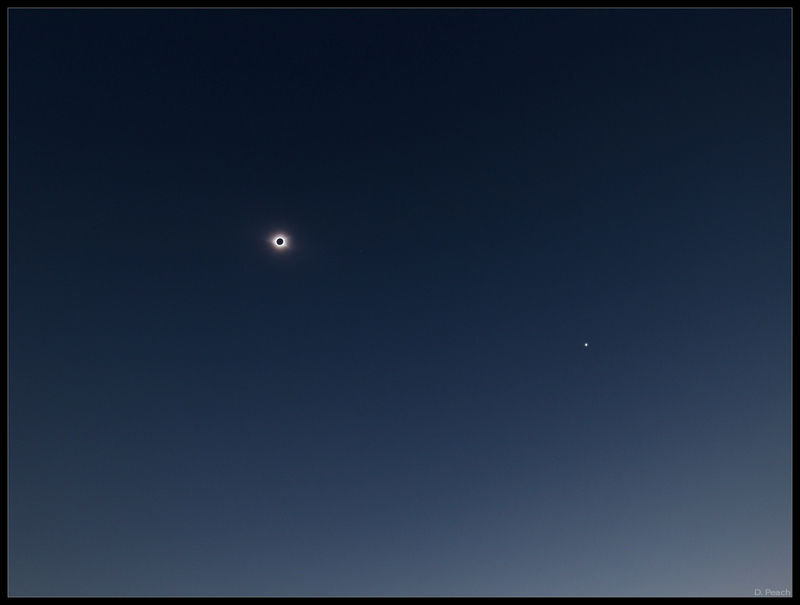 I used two cameras in all, one automated from a laptop which allowed me to watch totality through my 8x30 binoculars while also shooting some wide field scenic shots. 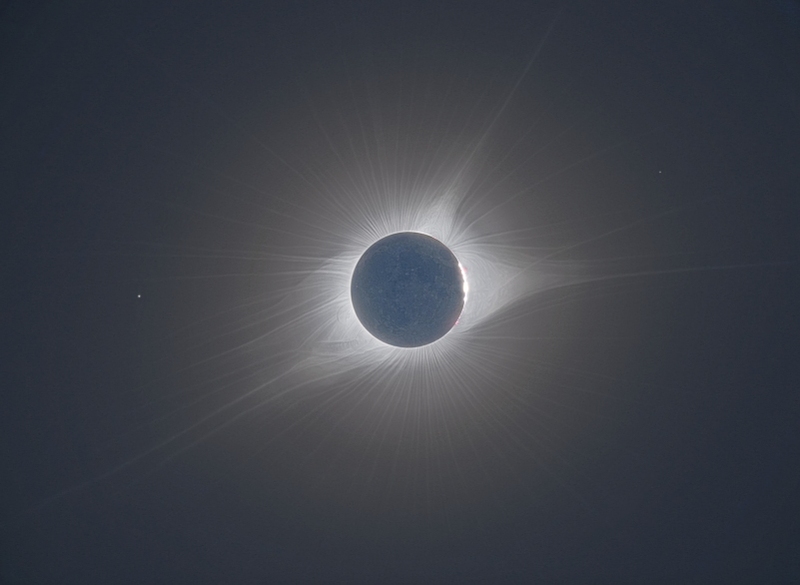 Totality was remarkable, with striking coronal streamers projecting either side of the Sun. 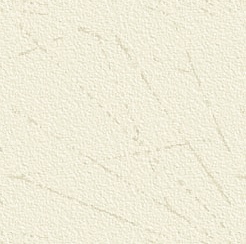 Venus was easily seen to the west. A big drop in temperature also occurred, compared to the sweltering temperatures we endured at the beginning of the eclipse. Overall and incredibly memorable event. A huge thank you to Jim and Stephanie for making this such an enjoyable and memorable trip! 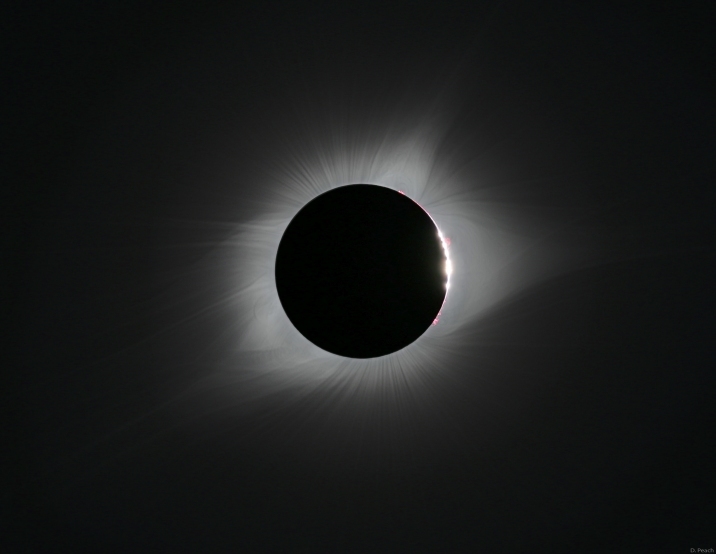 Totality processed to represent the visual appearance observed in binoculars. Many fine coronal streamers could be seen. Ultra HDR composite of totality composed of 42 images combined. Third contact with Baily's beads and prominences. 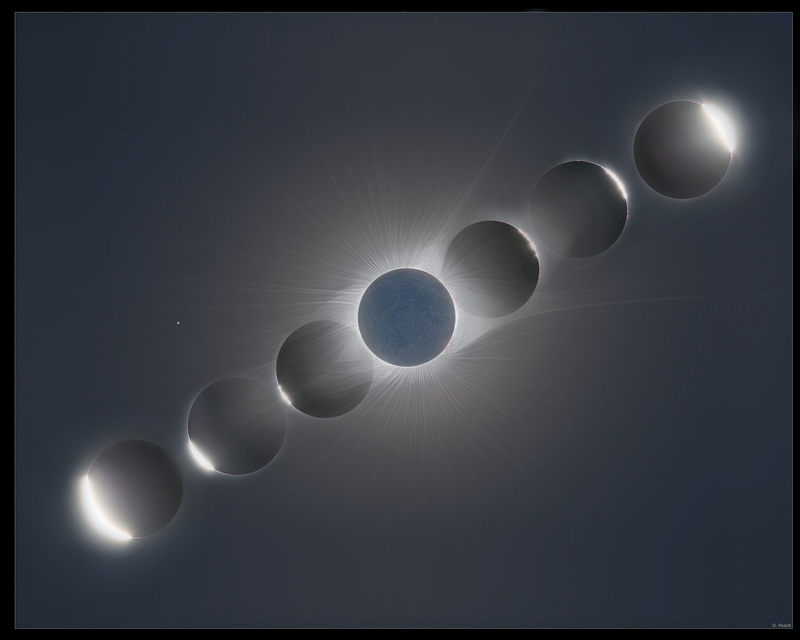 Montage of totality from second to third contact, including diamond rings and Baily's beads. 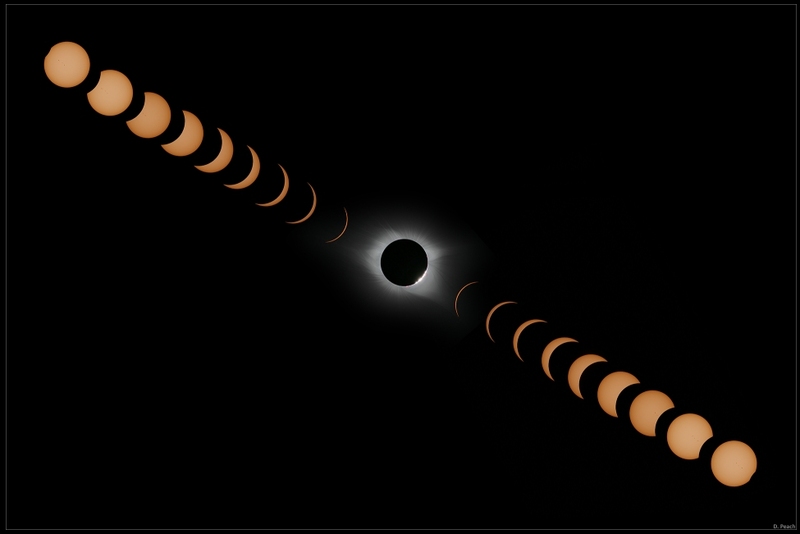 Montage of the entire eclipse. Wide field views of Totality with foreground and Venus visible. 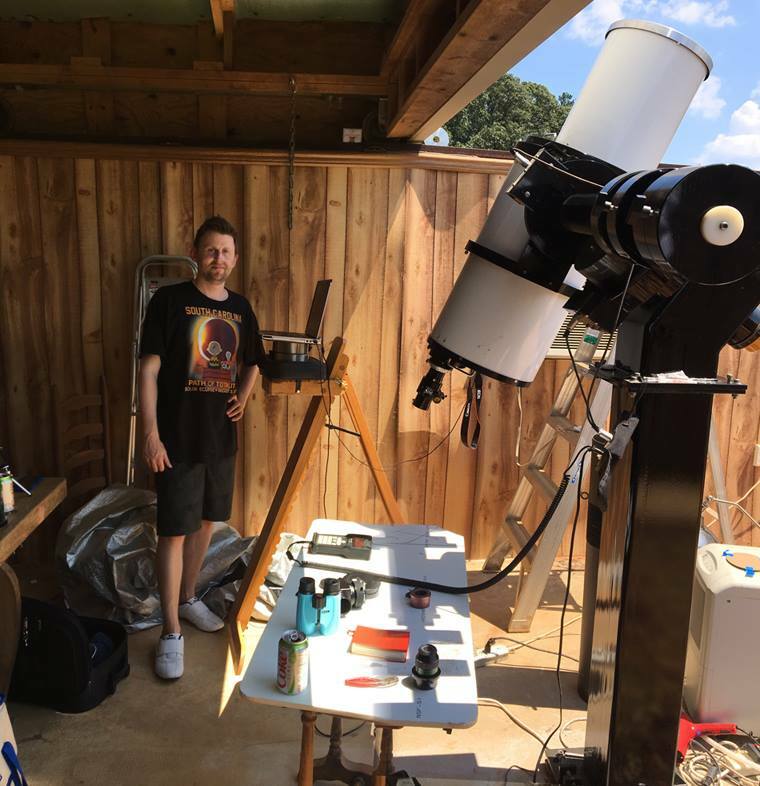 At the telescope imaging the eclipse. I used a TMB 80mm triplet apo mounted on top of a 10" F/9 TMB apo. The control laptop is alongside me. Night before the eclipse. The team is ready with glasses and t-shirts! 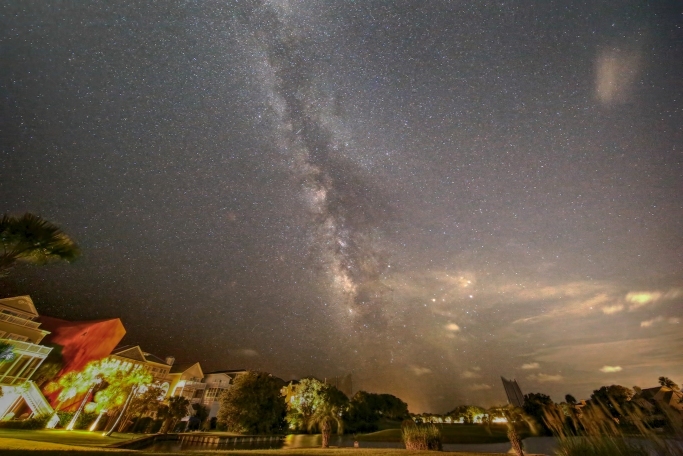 Milky Way seen from the Isle of Palms, SC. A single 15 sec exposure. 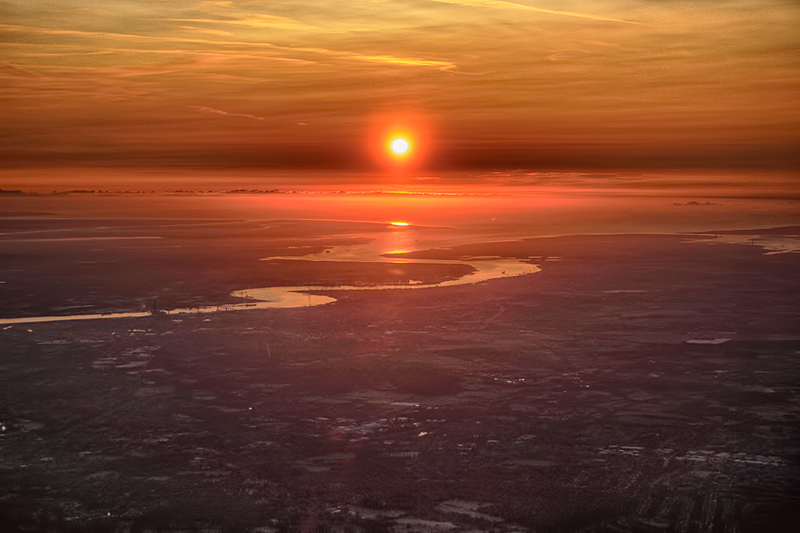 Sunrise over London and the Thames on the flight home. A great end to a memorable week!